4k00:32aerial view rice fields, agricultural land with sown green in countryside. farmland with agricultural crops in rural areas Java Indonesia. Land with grown plants of paddy Aerial footage. 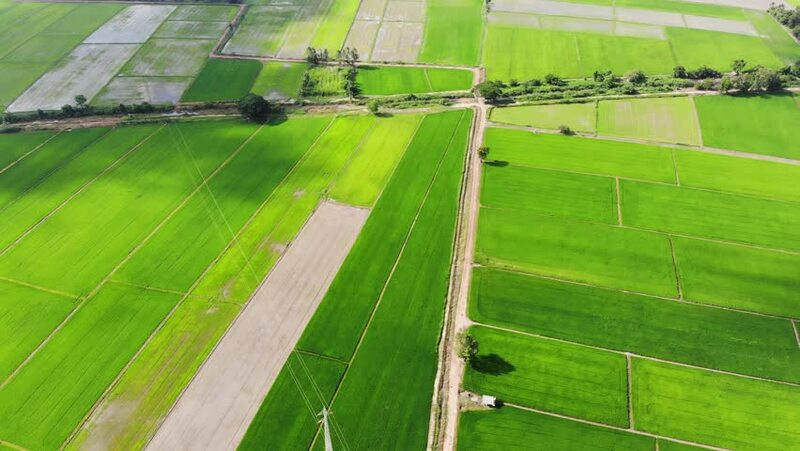 hd00:17Aerial video in an amazing landscape, with drone, above rice field in a beautiful day. 4k00:08Aerial view of fields surrounded by vegetation and hills.